Today we have a real treat for you. The first part of an amazing travelogue by our guest blogger, representative, ambasador and, above all, a great friend… the one an only, unstoppable, unpredictable, unbelievable – Miss Paula Arthur! The adventure began at 12am, Monday 25th May 2009. I’d had 3hrs sleep so it took me until 2am to get the car packed, the map found, SatNav set up and journey snacks placed close to hand; this was a woman on a mission, after all! There were a couple of dramatic incidents on the 4-and-a-bit hour drive to catch the ferry at Kennacraig: firstly, my SatNav had decided we were going via Arran instead of Loch Lomond ( I soon made up lost time!) and the second event involved a young rabbit, a bump and an alarming skid, somewhere close to Paisley… Despite it all, I caught the ferry on time. 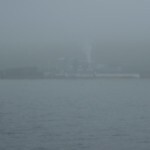 I sat near the bow in my own private cloud of midges and started writing this. It was so quiet, you could hear a cuckoo in the nearby woods and oystercatchers piping away as we started out. I was in danger of waxing too poetical so it was a good thing the rain came on, sending me in to get a coffee. I needed caffeine in a big way: through contacts that Lukasz had given me, I was due to meet Neil Ridley and Joel Harrison of Caskstrength.net blog and Tim Forbes and Darrell Sheehan, both from The Whisky Exchange blog, for breakfast and I needed to be at least semi-human by then! 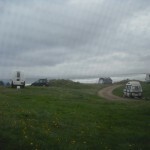 On arrival at Port Ellen (lousy view of the maltings because of the crap weather) I promptly got lost trying to find my campsite for the night as the SatNav decided to die. As a result, I missed breakfast with the guys but I did find Kildalton Cross with its huge piles of bleached scallop shells nearby. Kildalton sound familiar? It’s the name of one of Ardbeg’s lesser-known expressions. By 10:45am I was in Bowmore and had re-arranged to meet Neil, Tim, Joel & Darrell at Caol Ila for their open day. I’m not sure how they’ll take this, but they are sooo nice! Friendly, chatty, generous with the samples and advice and sorry to hear that Chris and Lukasz were unable to make it. Gentlemen do exist in this day and age! 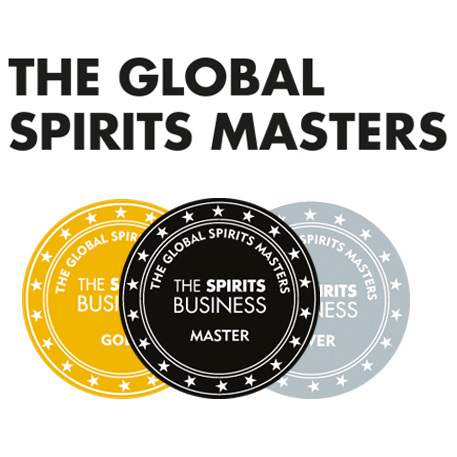 They had a masterclass to go to & I had a distillery tour to do. Hazel was our guide, open, friendly and informative – thanks Hazel! 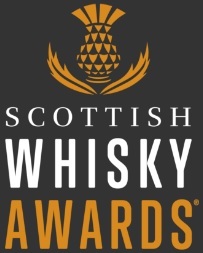 (Caol Ila facts will be posted at a later time). 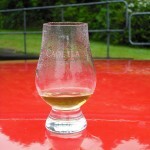 After the tour, it was a quick dram of Caol Ila Distiller’s Edition, Moscatel Wine Cask finish. Colour: Pale white wine, a hint of gold. Nose: The coal smoke I usually associate with Caol Ila has been softened and rounded out with honeyed raisins. Vanilla is there at the core of this whisky. Finish: An oily finish where soft peat and coal smoke linger at the back and sides of the mouth. Conclusion: A malt that might not appeal to everyone, even confirmed peat freaks, but interesting nevertheless. Should go very well with blue cheese. On a more interesting note, I met up with blog boys (or should I say ‘Man-Date’? Read their blogs, it will make sense!) 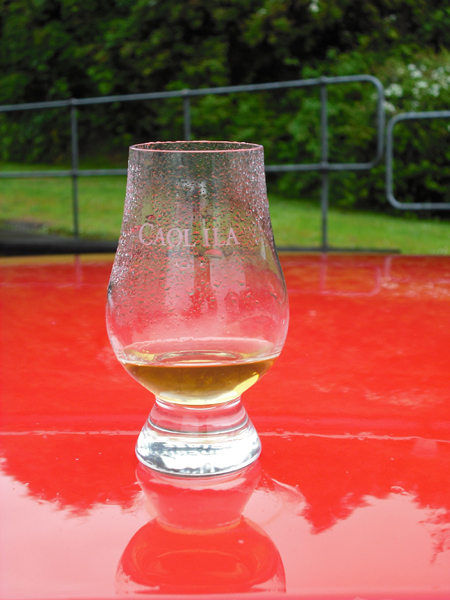 and they let me taste their sample of Caol Ila’s festival bottling, ‘Feis Ile 2009′. It’s a classic cask strength Caol Ila, 13yrs old. Hand selected by Billy Stichell, Cask 19313, distilled 18/12/1996, bottled 2009, 58%abv, matured in European oak, ex-sherry casks. Nose: Wet leaves, pineapple chunks, vanilla and coal smoke. With water- new sneakers! Palate: Creamy, smoky banana oil, fruit and vanilla – all your favourite things when it comes to Caol Ila! Finish: A coal and ashy finish with a bitter tang towards the end. Needless to say, I bought a bottle…No.555 and £69.99 – pricey, definitely. Good? Absolutely! 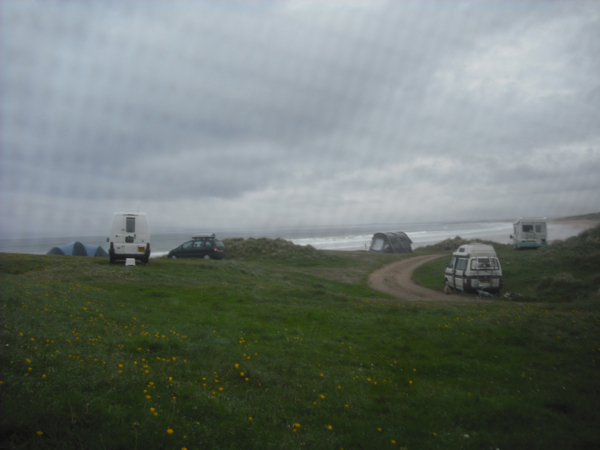 Photo 1:The view from my tent on the first night. 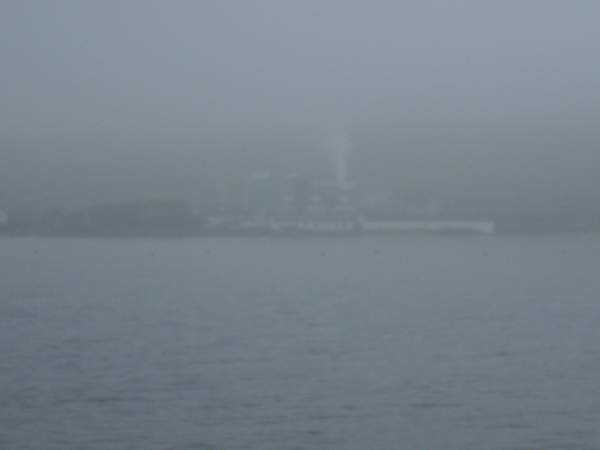 Photo 3: My first view of Port Ellen maltings. This entry was posted	on Sunday, May 31st, 2009 at 8:08 pm	and is filed under Events. You can follow any responses to this entry through the RSS 2.0 feed. Responses are currently closed, but you can trackback from your own site.